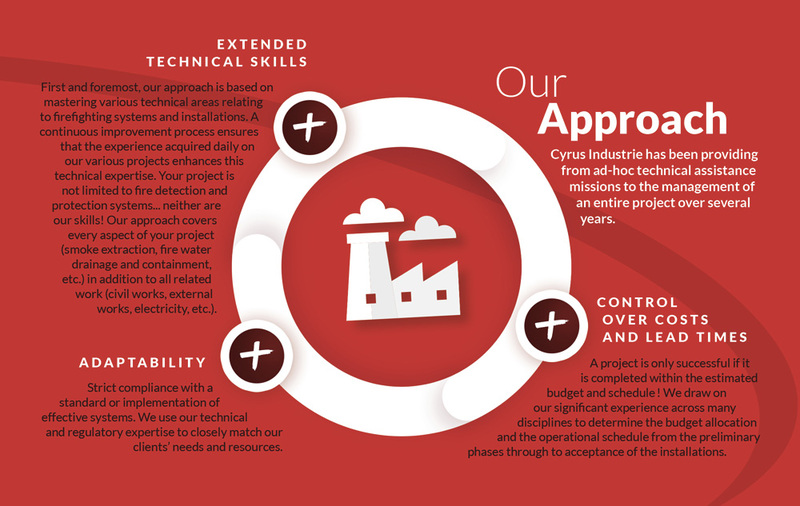 Cyrus Industrie has been providing support since 2002 through a global approach to clients’ projects and close ties with their staff, service providers and suppliers. This approach applies across the board from ad-hoc technical assistance missions to the management of an entire project over several years. Strict compliance with a standard or implementation of effective systems. We use our technical and regulatory expertise to closely match our clients’ needs and resources. First and foremost, our approach is based on mastering various technical areas relating to firefighting systems and installations. A continuous improvement process ensures that the experience acquired daily on our various projects enhances this technical expertise. 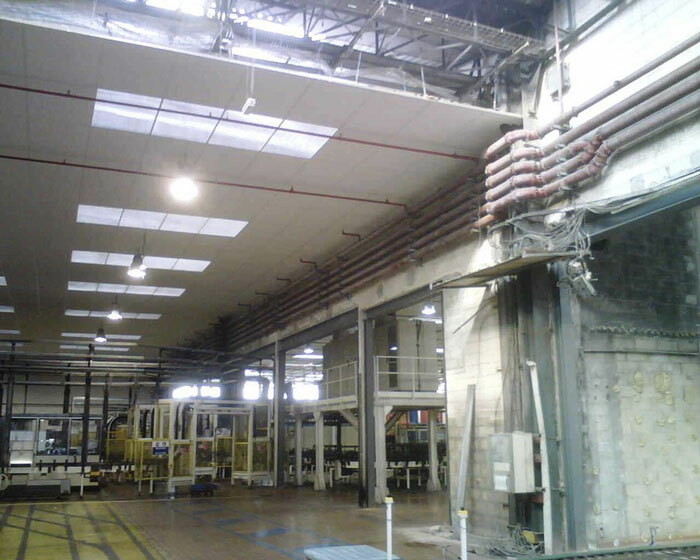 Your project is not limited to fire detection and protection systems… neither are our skills! Our approach covers every aspect of your project (smoke extraction, fire water drainage and containment, etc.) in addition to all related work (civil works, external works, electricity, etc.). A project is only successful if it is completed within the estimated budget and schedule! 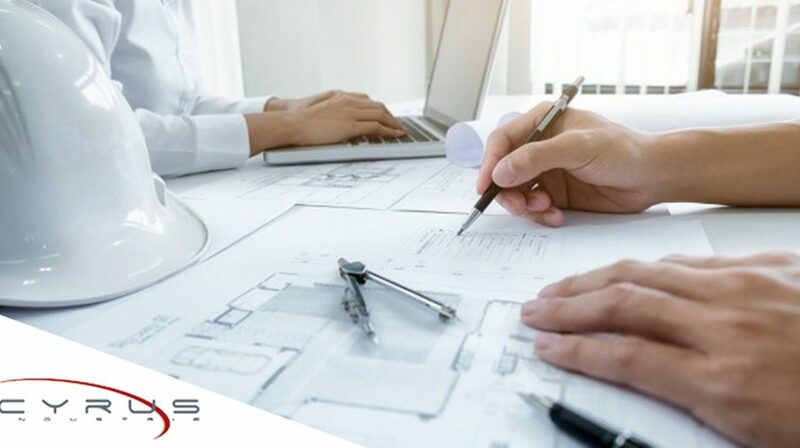 We draw on our significant experience across many disciplines to determine the budget allocation and the operational schedule from the preliminary phases through to acceptance of the installations.